The theme song’s going to be stuck in your head for the rest of the day, but: The Greatest American Hero, the ‘80s superhero cult classic, is being revived for twenty first-century audiences on Fox. In an exclusive to Deadline, it was confirmed that Fox is picking up the show, and it’ll be written and directed by Rick Famuyiwa (Dope, Talk to Me) and Phil Lord and Chris Miller (the directing pair that was involved with the film version of 21 Jump Street and The Lego Movie). Rounding out the team is Tawnia McKiernan, daughter of Stephen J. Cannell, creator of both Greatest American Hero and the original 21 Jump Street TV show. Fox, in a preemptive buy, has signed up for a pilot production commitment to the show. 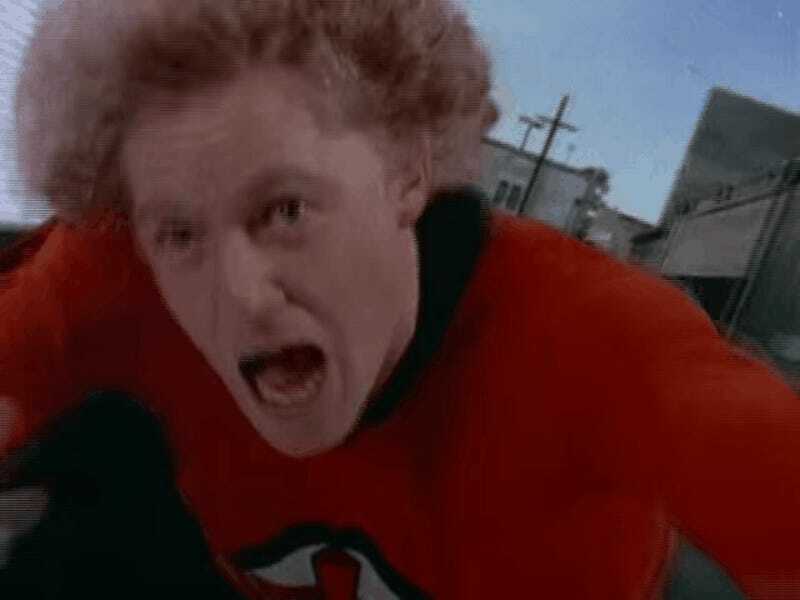 Those of us who were around in the ‘80s will remember the show as an adventure of the true everyman: William Katt starred as Ralph Hinkley, the blonde, curly-haired teacher who was gifted by aliens with a superpower-granting suit. When he puts on the red cape and suit, he turns into something of a bumbling Superman, often flying into things, but saving the day. It ran for three seasons from 1981 to 1983 on ABC. No premiere or production date have been announced yet, but we’ll be singing this blasted theme and listening to it on loop in the meantime.